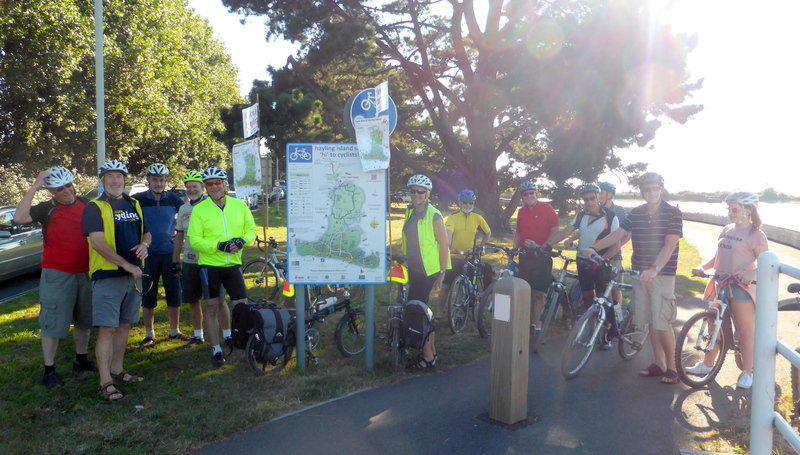 Thanks to everyone who enjoyed yesterday’s beautiful evening for our social ride around the island. I’ve uploaded a few more pictures to Google at https://goo.gl/photos/9Lktb4V5UoGr73Wu9. Several of you took more – please let us have them to add to the site. I hope everyone found it interesting, and discovered at least one new place to cycle. We passed plenty of places that badly need better cycle paths. Rest assured that we’ll be working with Havant Borough Council to ensure they spend the Bellway Homes Community Infrastructure Levy on them. Please lobby your councillors! If you have ideas, or think you can help, please post on the site or give us feedback.